There have been so many incredible releases today, it was so difficult to choose a music video for my New Release this week. However, Miley Cyrus has been solid lately and has made her new album available to pre-order with this incredible song being the title single! This song is catchy to no-end, and its music video seriously has some cool but old vibes going on, looking into the past and bringing it into the future. Watch Miley Cyrus showcase her performance vibes with this Elvis-inspired music video that has us enthralled from start to finish and hoping that we'll have a Miley Cyrus musical one day in this visual for "Younger Now". Miley Cyrus, real name Destiny Cyrus, has been teasing new music recently with the release of "Malibu" and "Inspired", so I'm ecstatic that she has released a new one that's ever so catchy and motivating in every way. 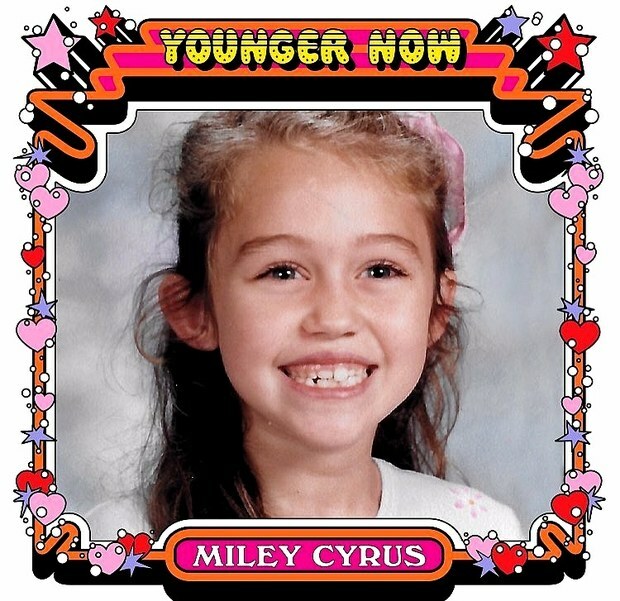 It's a whole new era for Miley Cyrus, and I feel like this song looks back on her past as she states that people do change as they find their way. I am loving this new sound, and "Younger Now" is something that deserves to be a hit, and we're sure it will be! This came with the announcement of her album, with the same title, which will be released on 29 September 2017 - I cannot wait! This song was written by Miley Cyrus and Oren Yoel. The music video was directed by Diane Martel. It is very Elvis-inspired with a great message throughout. She has even used old people to be her backing dancers and to join her in the visuals, which is a great tribute to how the song came to her - since her mother started the ball rolling with the lyrics by telling her that "you're younger now at 24 than you were at 4!" which totally explains where the song came from. I love this pure performance visual. There are some iconic scenes throughout, including some Elvis-inspired looks. I am obsessed with her red outfit - she looks super hot in that scene; as well as the blue jumpsuit. She continues her ode to Elvis with the puppet scene. This directly links in with Elvis' music video for "Wooden Heart". Today marks the 40th anniversary of his death, so Miley Cyrus has picked the perfect time to release this video. My favourite scene has to be the ending, that looks like a scene from the future Miley Cyrus musical theatre show - surely this is something that will happen at some point; her iconic songs would easily be able to come together to make a hit musical. The old dancers fully bring it as if they are young, and it's incredible to see Miley Cyrus enjoying her life in every way and enjoying her time on this set. Overall this music video is a brilliant tribute and completely relates to the song. I love her biker chick outfit which makes her look a bit like Fergie; I also like the float because it's a float. I do feel that this could've been a little more engaging, and I feel that after the first watch she'll lose some viewers as it's not something you would definitely watch again and again. Regardless it is polished and has got me excited for 29 September when the new album drops!